Cleveland -- A 61-year-old Cleveland man was indicted Thursday for vehicular homicide and driving while under the influence in a Sept. 15 accident that killed a 22-year-old bicyclist, the Cuyahoga County prosecutor's office said. Roberts' truck was found an hour later in the 1100 block of East 40th Street. Police said he tested positive for marijuana. She was not wearing a helmet, police said. 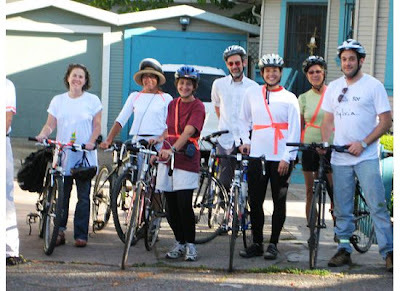 Riders who met at Sylvia's childhood home in Oakland, CA to Ride for Sylvia. 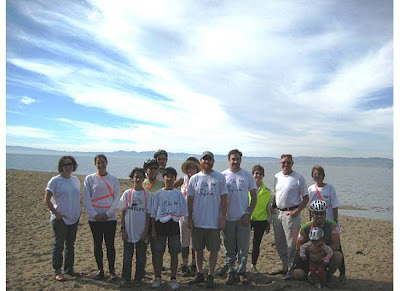 Oakland Sylvia riders at San Francisco Bay. 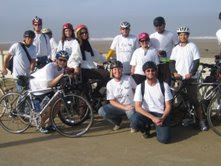 Group photo of San Francisco riders on the Ride for Sylvia. Riders in San Francisco at the Ride for Sylvia. Steve riding for Sylvia in Marin. Sylvia's bike shown during the Ride for Sylvia in Marin. 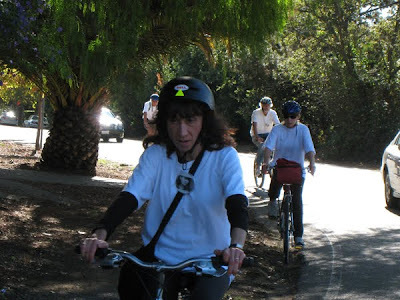 Francoise and others riding for Sylvia in Marin. 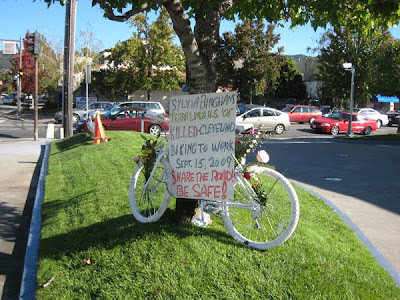 Please join us on Saturday October 17, 2009, in a memorial bike ride for Sylvia Bingham to affirm the rights of cyclists to bike safely on public streets. 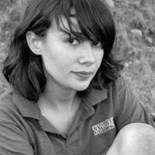 Sylvia, age 22, was killed while riding her bicycle to work in Cleveland on September 15, 2009. 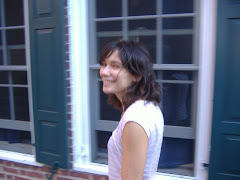 She grew up in San Rafael, California and went to Terra Linda High School. 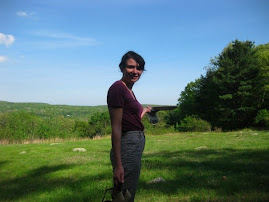 A recent Yale graduate and an AmeriCorps VISTA volunteer, Sylvia was passionate about social justice and cycling, and was riding that day to her work at Hard Hatted Women, to empower women to achieve economic independence by creating workplace diversity in trade and technical careers. 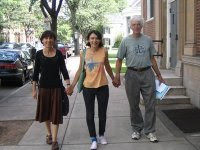 Sylvia's father, Steve Bingham, is a long-time advocate for the poor at the San Francisco office of Bay Area Legal Aid. 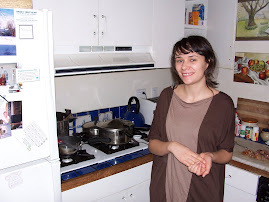 Her mother, Francoise Blusseau, is a teacher at Lick-Wilmerding High School in SF. 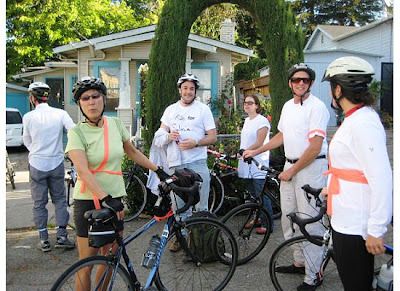 There will be simultaneous memorial bike rides in Sylvia's honor in SF, Marin, the East Bay, and Cleveland. 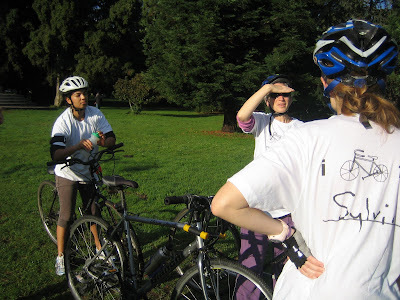 In memory, celebration, and honor of Sylvia Bingham’s life and love of bicycling and to promote bicycle safety, please join us either in the East Bay, San Francisco, or Marin County. Please wear white T-shirts. [A Limited number of White T-shirts with “I Ride For Sylvia” on them will be available in an effort to raise funds for the Sylvia Bingham Foundation.] Helmets are required. While waiting for riders to gather, we will distribute reflective bike tape that people can put on their helmets and bikes to increase safety. These multi-county rides will be silent rides and are being done to coincide with similar rides in Cleveland. 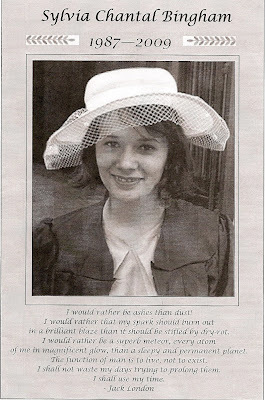 For those of you who may not yet have heard about Sylvia’s accident, you can read about it at www.sylviabinghamfoundation.org You can also learn more about Sylvia as well as the street safety foundation at the website. 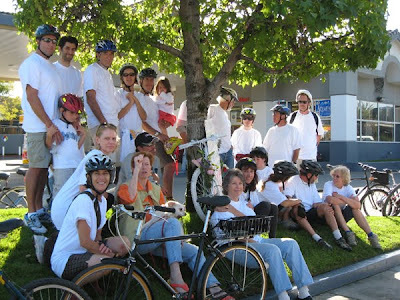 As part of the effort to draw attention to safe streets in Sylvia's hometown, Sylvia's old bike has been painted white and will be placed as a “Ghost Bike” at the Shell Station on Irwin in San Rafael. We are also working toward placing a “Ghost Bike” in SF. The Ohio City Bike Co-Op has placed a “Ghost Bike” on the corner of the tragic accident. Thank you for joining us. If questions, please contact: For San Francisco ariellahyman@gmail.com or stacimartin@gmail.com. For the East bay ride, contact steveweiss_law@yahoo.com. 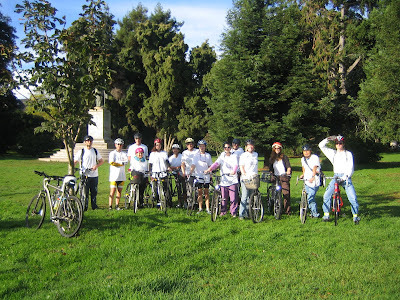 For Marin riders, contact Sharon Kaiser dolphinintelligence@gmail.com. SF Time and place, and miles: 9:00 am –Meet at the McKinley Statue on Baker bw Fell & Oak, on the Eastern end of the panhandle. Entire ride approximately 4-5 miles. 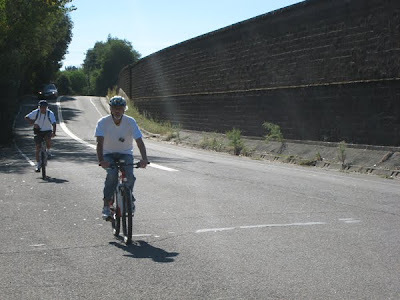 Marin Time and place and miles: 9:30am – Meet at the Civic Center at Armory Dr. near the children’s playground. Entire ride approximately 4 miles. Memorial State Beach. The distance is 4.5 each way, although people would likely not make the full round trip. The Fruitvale BART station is closer. 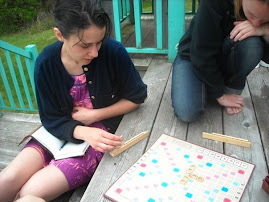 See http://tinyurl.com/yat752a for a map. 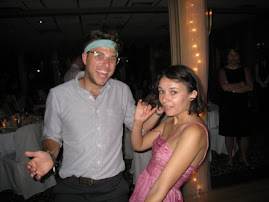 People are invited to wear bright colorful clothes that they think Sylvia might have enjoyed.